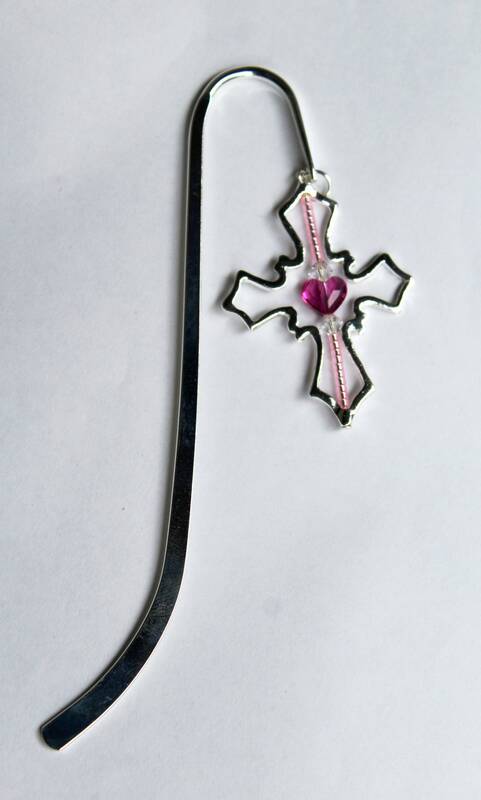 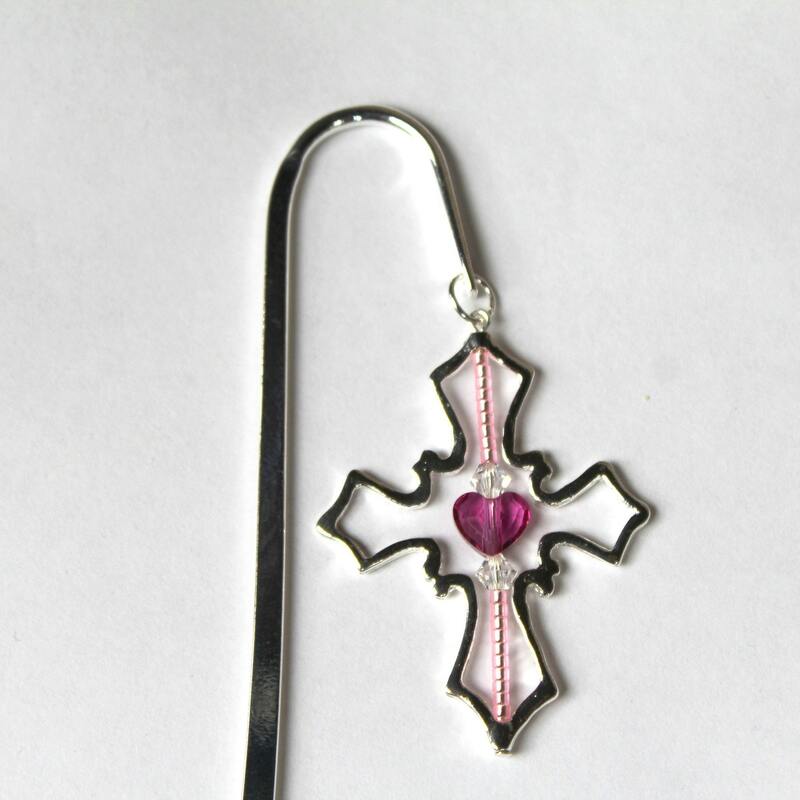 The cross dangle is a large 43x33mm. 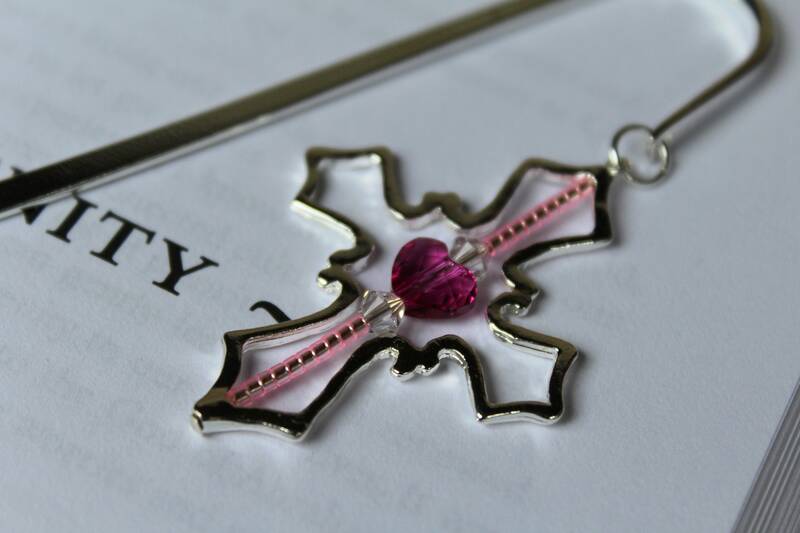 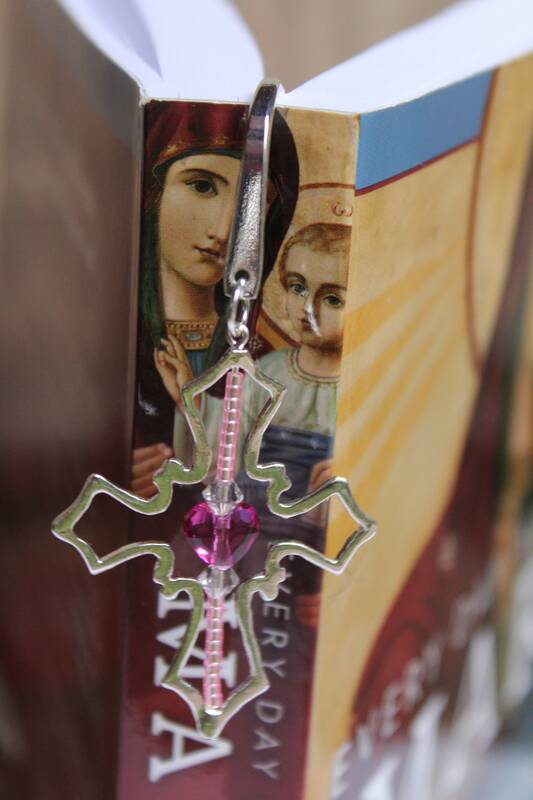 The heart and bicone beads within the cross are genuine crystals. 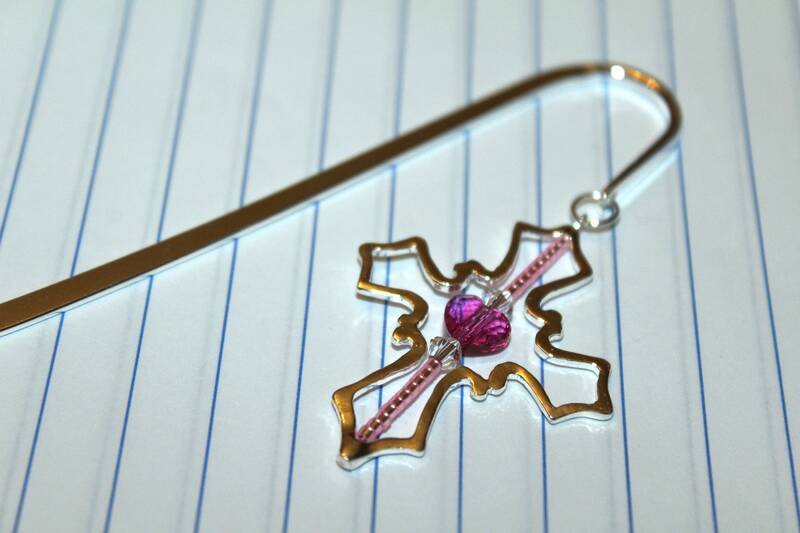 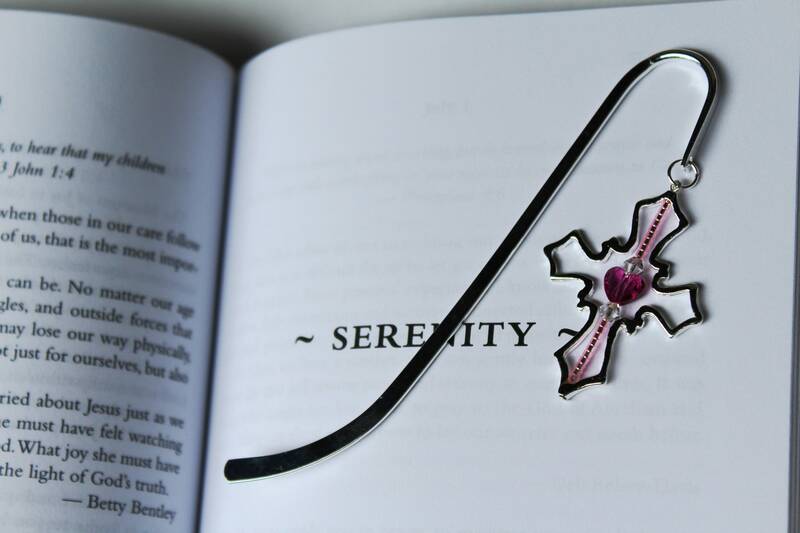 This is an original piece, designed and created by Michele of MichelesAManoDesigns.